Hue Outdoor Motion sensor support: The year has just begun, and there are already new products on the market! One of those is the Hue Outdoor motion sensor - and we're proud to announce that we support it from the very beginning! Starting now, you can search for this sensor and configure it with the known many options that iConnectHue's editor provides. This update is free for you. As always we have improved the app in several details. But why explain something that you'll likely never stumble upon again from now on? We hope you enjoy this new release of iConnectHue! If you find anything suspicious, let us know! If you run into any issues, don’t hesitate and use the contact function in the app. You will surely get support! 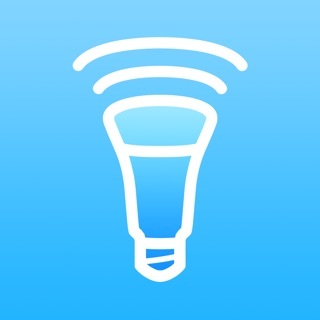 This is easily the best app for controlling your Philips Hue lights! FAR better, even, than the app from Philips Hue! The ability to create scenes, animations, etc., makes it one or two touches to have your lights do exactly what you want them to do! The apartment I built doesn’t have windows, so I was looking to build a lighting system that could follow the sun in both brightness and color temperature in the built-in “windows” I created to emulate sunrise and sunset and all the stages of lighting throughout the day. The systems I was looking at were going to cost $2,000-$5,000! Then I found Philips Hue and this app. It allows me to do all of that and so much more. I now have my entire house automated with the Hue lights and accessories through this app. The addition of motion detectors and programming to control exactly what I want to happen is incredible. And when I want them to change to something different, one touch of the button is all it takes. Create zones, rooms......whatever you want and have it do whatever you want! Just a great app!! Anyone invested in the Philips Hue ecosystem for as long as I have has probably spent hours on end looking for the best application that just “works”. I have been a Phillips Hue user now for over 3 years (which is an eternity in the IOT world) and have tried at least 20 different apps and have spent a lot of money on some of those apps only to be disappointed. I’ve been using iConnectHue for well over a year now and it continues to get better and better and handle my crazy smart home with ease. I have an assortment of 45 smart Phillips Hue bulbs, 6 Hue Dimmers, 4 Hue Taps, 3 Hue Motion Detectors and use this app daily (even when deployed overseas I would check in on the House). I think I’ve used the native Phillips app only twice in the last year. Learn from my mistake, don’t waste hours scavenging the App Store and loads of money experimenting on other apps. Get iConnectHue now and use that time and money on something that works! This it the one and only app you need to make the most out of using your complete Hue system. I entered the world of Philips Hue lighting only recently, and tried a few other apps as I was ramping up the user learning curve. In the process I discovered that this is the one that puts all others to shame. Even Philips' own app. IConnectHue puts your whole Hue Ecosystem on steroids, and will give you super powers to make your place your own Light-Wonderland. This app's UX and UI is so intelligently designed, it puts the "smart" in your "-phone" when it comes to managing and controlling your Hue setup. And the in-app purchases are all so worth it, too! (even the add-on to use the app from Apple Watch). App runs smoothly and feels flawless. And on top, support is prompt and they answer fast to any question. Go confidently with this one and look no further when it comes for a #1 main go-to app for your Hue system.